I have been using a beard oil from a small artisan set up in Kerry, Ireland. There is no doubt that Ireland has its fair share of incredible beard care brands. There is no doubt that the Beard care product market is saturated and yet it is still possible to find a place in that market, especially for the small set ups like Beardsmith. I actually prefer the small batch oils from these type of companies, the hard work and enthusiasm that goes into making these products is evident in the quality of the products. This is exactly the case with Beardsmith Beard oil, a 10ml bottle with a glass dropper that has a very simple label and is popular because of the quality of the oil and not how the product looks. We all love to buy the products that look good, I have tested some oils that wouldn’t look out of place in the most extravagant of surroundings, however at the end of the day it is down to the product contained in the bottles. Beardsmith beard oil may not look classy but the oil is every bit as good as those flashy oils with a base of Jojoba and Grapeseed Oil with a blend of Amyris, Bergamot, Lavender, Rosemary, Sandalwood and Vanilla Essential Oils. Beardsmith oil has a natural, floral, fresh and very slightly woodsy scent with the Lavender being the most prominent scent. Having had a run of Balms to test it was so nice to use an oil again, my beard was left feeling softer and looking good and I have really liked using Beardsmith oil. Matthew who is the brains and the beard behind the Beardsmith brand was quite nervous about this review, however I knew it would be a good product as I had guys contacting me saying the love the Beardsmith products. 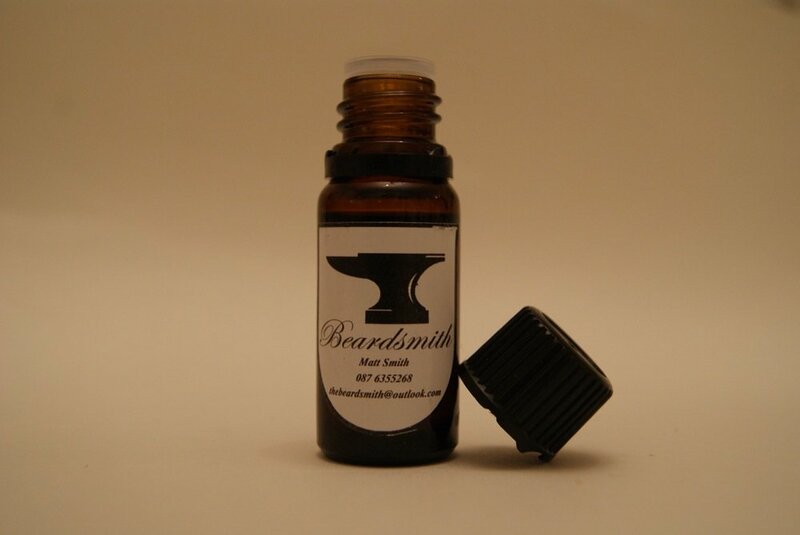 Beardsmith beard oil is available from the Beardsmith website for €6.99 which is £6.31 at today’s exchange rate. Beardsmith is a local Irish company, specialising in all natural beard care products. Beardsmith designs and creates various beard products. Soaps which clean without stripping and drying. Oils which moisturise and invigorate, and, balms which add control, body and style. Beardsmith products have been designed with men’s lifestyles in mind – this means simple and effective products. All Beardsmith products are handmade, using 100% natural ingredients.